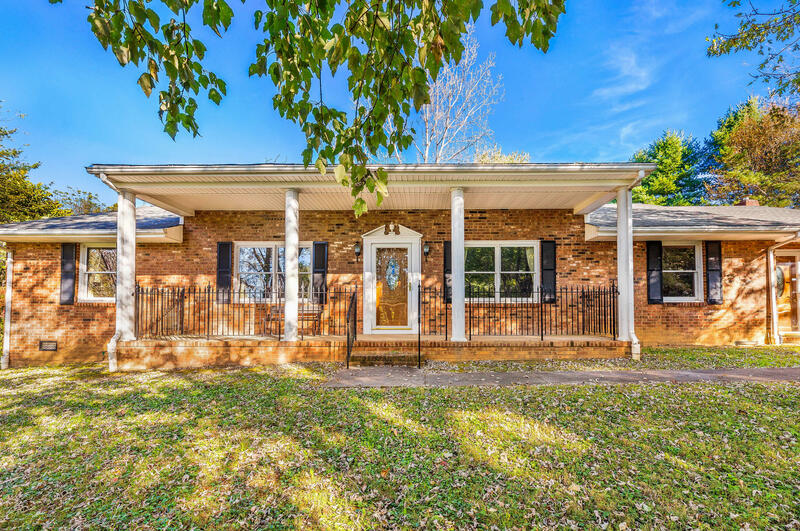 Brick ranch with approximately 2100 finished square feet, all on one level, ready to move into and enjoy. Over 4 acres of private property at end of cul-de-sac just off Rt 220. Home features bamboo hardwood floors throughout, living room & formal dining room, kitchen with all modern appliances, family room with fireplace, 3 bedrooms, 2 full baths and office or bonus room with private entrance. New HVAC system. Recently built detached 2-car garage with insulated storage area and cedar-lined walk-in closet.